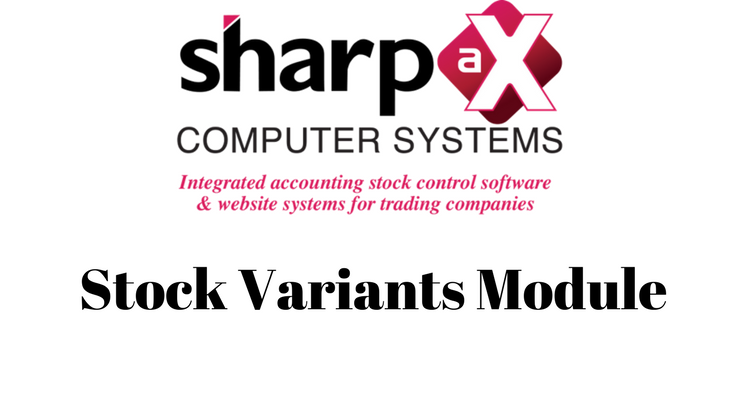 Sharp-aX launches the new Stock Variants Module, designed to manage similar stock for maximum efficiency. Are you selling products in different sizes and colours? Do you have stock items that differ only in the material they are made of and the price? If you do, the Stock Variants Module will make quotation and order processing swift & seamless. The Variants Module will create all of your variant items in minutes. Simply input the attribute values to the stock items and all combinations will be created for you with the click of a button. Each variant item is stock tracked individually, so you will always know which sizes / colours are in stock and where they are. The Variants Module allows the sales person to choose exactly what your customer wants without having to scroll down a long list of similar products. Add multiple variant products onto the order easily. All variant items can be priced individually. You can identify less popular variants and your best sellers to make informed purchasing decisions.